Today I’m presenting at the United States Distance Learning Association National Conference 2017: Using Blogging to Contribute Expertise and Convey Credibility. This post shares the accompanying resources. Recently one of my team returned from a conference and shared how everyone was interested in how we integrate Zoom with Moodle at Andrews University. I thought then that I’d share here how we do that. Our Moodle is currently hosted with Moonami, but this strategy should work for you, however you are hosting Moodle. In addition, most learning management systems allow for some HTML in announcement features, discussion forums, anywhere you can post text. So this strategy should work well elsewhere too. First, we recommend our faculty set up a recurring meeting for the course so that students can always use the same link to attend class. 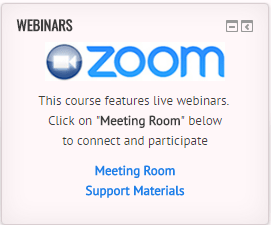 This works even if you are sharing the Zoom account across a department, because each course could have it’s own recurring meeting, as long as someone makes sure they aren’t scheduled at the same time. Our departments who share Zoom usually have an administrative assistant keeping an eye on that. The HTML for this block is shared below. The bold sections are where you’ll need to make changes for your situation. A list of important deadlines – withdrawal dates, last day for a full refund, etc. Do you have a strategy like this in your LMS? Share your tips or questions in the comments below! Last week we looked at tips for managing the dissertation advising process for online PhDs. This week, let’s look at a variety of tools for supporting the dissertation process. A reference manager. First and foremost, you absolutely must start using a reference manager, if you haven’t already. While it takes a bit to set up, it will save you hours in the long run, making sure that all references are properly cited. The top tools are listed below. The Barnard Library has created a useful comparison of the three. Tutorials. I created this collection of tutorials when I was starting my PhD. While the software specifics might have changed slightly over time, the principles of how to organize yourself for reference collection are still useful. Smart use of Google Scholar. Have you noticed that if you’re on campus at your university, and you use Google Scholar, all the references link to databases subscribed to by your library? What if you’re off campus though? Here are a couple of tips. Check your Google Scholar settings. Select your university’s library under Libraries. Set it to automatically save to your reference software, such as EndNote while you’re there. This will provide a direct link to import in the GoogleScholar results, as shown below. Collect references and PDFs as you work. Here’s a tutorial I did for my graduate social media class in the fall of 2015 on how to find the PDFs after doing a Google Scholar search. Be a good researcher, and don’t just read the abstracts! Read, collect, and cite the full article! Next, it’s a good idea to create a habit of taking notes on your reading. It could be scribbles, bullet points, short bits. But be writing in your own words about your literature reading. Evernote. I’m a huge Evernote fan. The point of Evernote is to clip EVERYTHING you might want to remember. Yyu can grab pictures, pieces of websites, snapshots of text that is then searchable, etc. You can search it at any time for whatever you need. It’s like having a second brain. My Evernote is a huge searchable collection bin – interesting articles, random thoughts I scribble down, results from SPSS with scribbled thinking, etc. Keeping a research notebook is a good habit to establish. It will help with your academic publishing as well. And dissertation advisors, you can use it to keep notes on the dissertations you’re supporting! Writing Daily. There are some interesting tools out there to help you get in the habit of writing daily. You should be generating text on a regular basis, even if it is draft thinking, prewriting, or outlining. If you don’t want to write publicly, like on a blog, another great option is 750Words. This tool motivates and tracks your regular writing habit. Wondering what to write daily? Try these tips for applying the 750-1000 words-a-day habit to your dissertation. Subscribing to journals. Almost every journal has a way to subscribe to the Table of Contents updates. Sign up for your favorites to keep tabs on the field. Read titles quickly, don’t get distracted! Google Alerts. Did you know you can set up alerts to monitor the web, your reputation, your topic? Google Scholar has alerts also. Let the web come to you! Or, you can try one of many goal setting apps to track your progress. Set goals and track them. Grammarly. This free grammar checker can assist you in creating academic prose. TurnItIn. Find out from your university ed tech tool helpdesk how you can use TurnItIn to check your ability to cite your sources well. Or your university may provide resources in the dissertation preparation courses. Color edits. 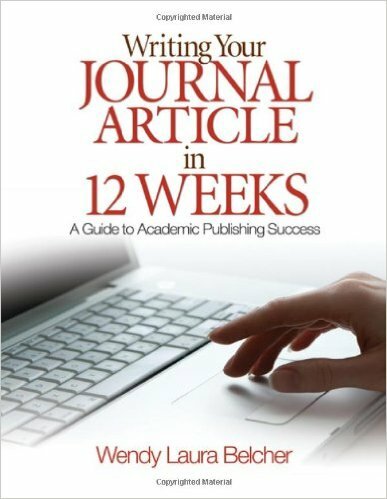 Another of my favorite writing books is Writing Your Journal Article in Twelve Weeks. 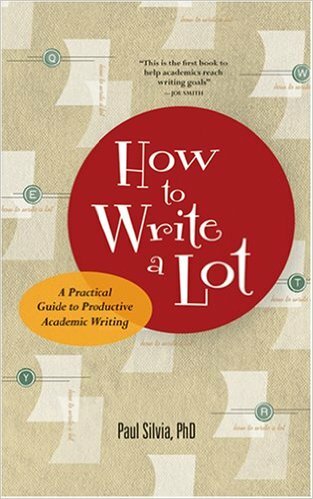 This book has an awesome section on using colors to edit your writing. I’ve found it incredibly helpful. What would you add? Are there other tasks or components of the dissertation process that you use another tool to support? Do any of these tools also work for you? Please comment! I’m attending the IFWE 2016 conference in San Antonio, TX and live blogging sessions. One more session till lunch! Be sure to follow the #ifwe2016 hashtag on Twitter if you want to learn about what else is going on here! Description: What do novices need to know about learning analytics? How can learning analytics be leveraged to improve online programs and students’ experiences in online programs? Find out during this session addressing the basics of learning analytics. Interesting bits from the introductions. Someone wants to understand better the difference between learning analytics and analytics. One institution is starting a learning analytics committee. One instructional design specialist does analytics as well as instructional design. Someone from Penn State is working on a custom dashboard of learning analytics. Another person is looking at how to give faculty learning analytic data to empower them. Mindy had a really cool colored folding paper strategy. 5 sheets of colored paper, spread them apart and then fold so you have 9-10 layered and colorful places to write. This page has an example – scroll down. It overlaps with other fields – computer science, machine learning, statistics (lots of different regressions to predict relationships), big data, etc. It can never perfectly predict anything – remember your stats class! What registrar/institutional data provides insights to students’ progress? How does student’s video watching correlate with their course success? How does the time submitted compare with course performance? How does success in a specific course correlate with degree success? What are online learning behaviors and what do they tell us? When do they login? When do they logout? What do students click on? Who talks to who and how many responses in discussion forums? People who are interested in it…. It’s important to know what your question is – which depends on your role… the stats people who can help you are going to want to know your question. So you need a narrow question. Not just to track and know everything! This is a huge area of interest to me. What data do we have? How can we collect it? How can we track it over time? How can we use it to monitor and improve the success of our online courses and programs? And how do we do it well and ethically? I’m attending the IFWE 2016 conference in San Antonio, TX and live blogging the sessions I’m attending. Starting off today with a preconference session by Stephanie Thompson, PhD, Faculty and Course Lead who teaches for Kaplan University. Contributors for this session included Barbara Green, Teresa Marie Kelly, and Josef Vice, other Kaplan faculty. The idea is that faculty can learn together online, because it might be hard to travel to attend conferences – and social media can be a way for doing that. As we do introductions, I think it’s so interesting what makes people come to a session. I’m mostly interested in the social media side – but the faculty development / professional learning idea is really critical too – and I’m looking forward to seeing how social media can connect faculty for learning. This is a cool graphic shared from EdSurge Guides – to help focus on the idea of personalized learning / personal learning networks – driving your own learning. I am so fascinated by the change to self-driven learning – in the context of thinking about our self-paced courses – which often are looked at somewhat askance – but really, the Internet allows us to learn at our own time and with the people we choose. That’s a different type of learning! One comparison that Stephanie is making is the difference between Career Development and Professional Development. That career development is more about learning how to climb the ladder – leadership training, learning how to be a department chair (thinking of CIC’s workshop on that), support for research publication. But professional development is more life long and focuses more on teaching. So what all do faculty need to learn about? using different resources like OER etc. Observing each other’s teaching – I love this idea. Thinking about how we could set that up so that our online faculty could observe each other’s teaching. What would it take to do that in a fully asychronous course? what kind of structures would help make that happen? Requiring a certain number of hours of training – Kaplan requires 8 hours of training a year for their online faculty. What would it take to do this? Could we do it for all online faculty – both adjuncts and full time? Could it be framed to be received well? Remind.com – sending reminders to students, students in internships, etc. 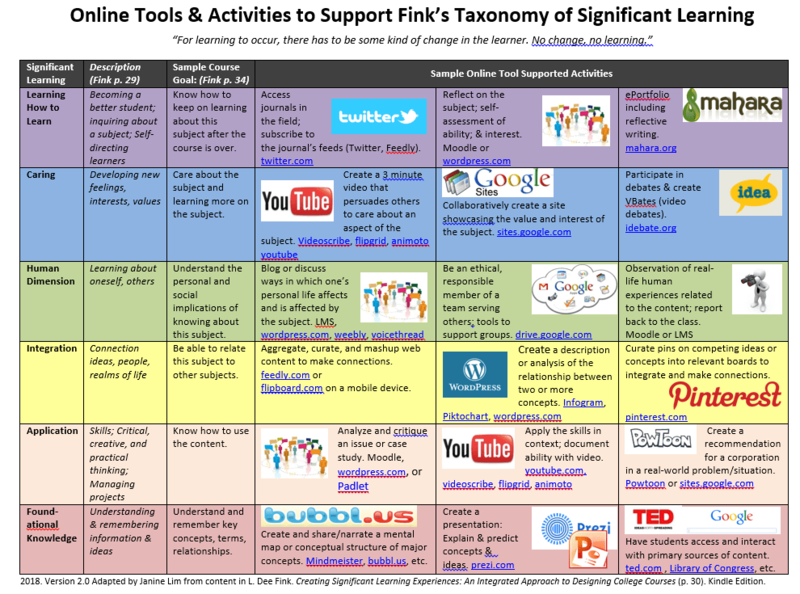 Social media and online resources allow anyone to organize, track, and design their own professional development and learning! Today I presented for the faculty of Burman University in Lacombe, Alberta, Canada. This post has the accompanying resources for the social media session. LMS vs. Social Networking Can Social Networking Sites Act as a Learning Management Systems? Today I’m presenting a webinar for the United States Distance Learning Association National Distance Learning Week Webinar Series: Using Blogging to Contribute Expertise and Convey Credibility. This post shares the accompanying resources. USDLA International Forum of Women in eLearning (IFWE) November 30-December 2, 2016 – San Antonio, TX!